Pastel lovers? 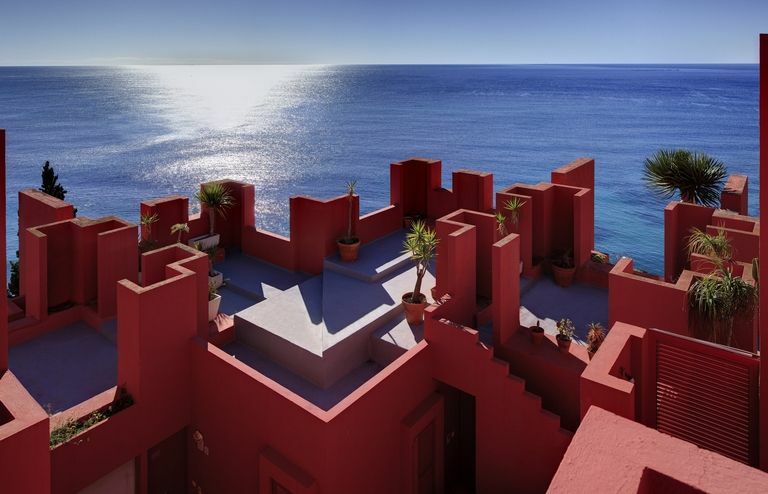 These are the top 3 summer destinations! If you still haven't decided about you summer vacations, there are some factors that can turn the idea of a last minute weekend gataway. 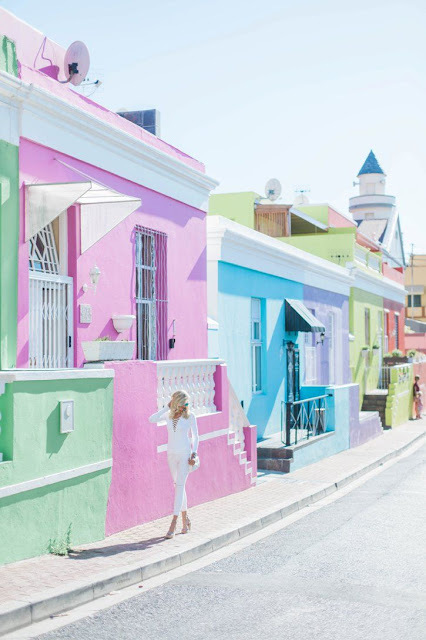 Bubble gum shades of pale dogwood has inspired so many famous designers from Balenciaga to Gucci and Celine, pastel is apparently this year's most fancy shade - so why not pay a visit to the world's most mythical and dreamy destinations. The "Supermodel of the GreekIslands" with itwhitewashed sugar cube houses, multi coloured cliffs and the red and white lava beaches, Santorini is for sure the most lovely and insta-worthy of the Greek Islands. The "most talked about" piece of paradise was born out of a volcanic eruption and has been for a long time the spot of famous designers and Greeks Royalty. 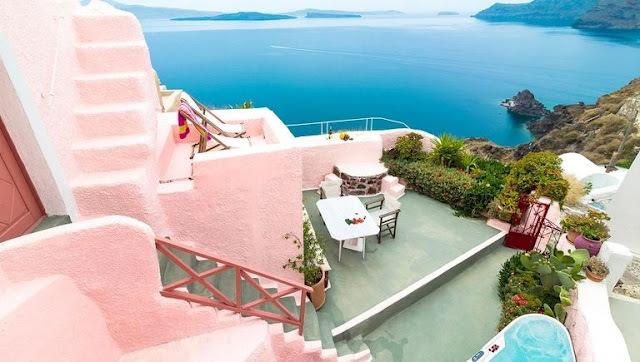 Don't forget to pay a visit to the small fishing village of Oia in the northen part of the city, you will find a Pink Cave House, that would be the answer to the Beverly Hills Hotel - you can relax in the three sprawling terraces, a hot tub - and it can be visible from every point of the village. The Bo-Kaap neighborhood of Cape Town has a rich and multicultural history. Formally known as the Malay Quarter, the district is rooted in Malaysian, African, Indian and Sri Lankan culture, largely a result of the descendants of the slaves who were brought over by Dutch imperialists in the 16th and 17th centuries. Today, the area is still known for its vibrant history and blending of creeds; a cocktail which visitors often find fascinating and unforgettable. 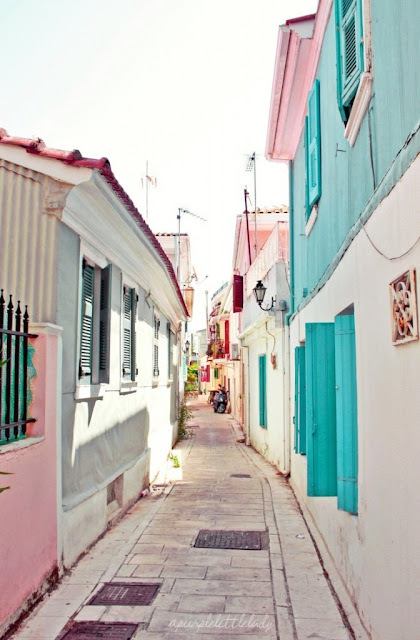 Over 750 pastel-coloured buidings, Curaçao speaks to the curious explorer in us all. It's natural beauty, pristine diving and snorkeling sites are a favorite with divers and adventure seekers, and its beaches and idyllic weather, situated on the outer fringes of the Hurricane Belt, has won it further accolade and recognition.